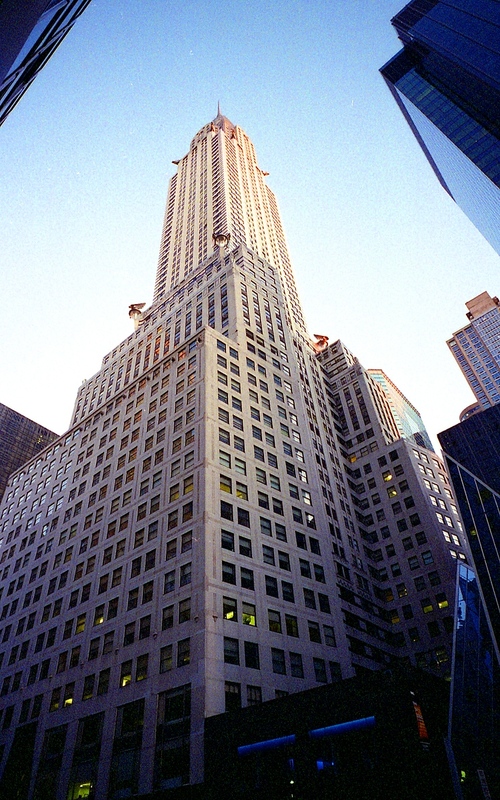 The iconic Chrysler Building shot from 42nd Street with a Contax G2 and Fuji Superia film. Without metadata, I ‘m not sure of the lens but it must be either the 21 or 28mm. Quite a bit of grain, but that’s film for you, and look at how the corner statues just pop off the building. I’ve never seen them look like that before, really. Stop you’re making me dizzy. Awesome shot. I want to see this kind of building…Its a one of a kind…Thanks a lot for a nice photo..